In this episode we interview Stephany Lapierre, the founder and CEO of Tealbook, a supplier intelligence company. Steph’s been recognized as an influencer by PharmaVOICE 100, was selected as the 2017 Provider Pro To Know by Supply & Demand Chain Magazine and has won many awards for her innovative approach to supplier intelligence. 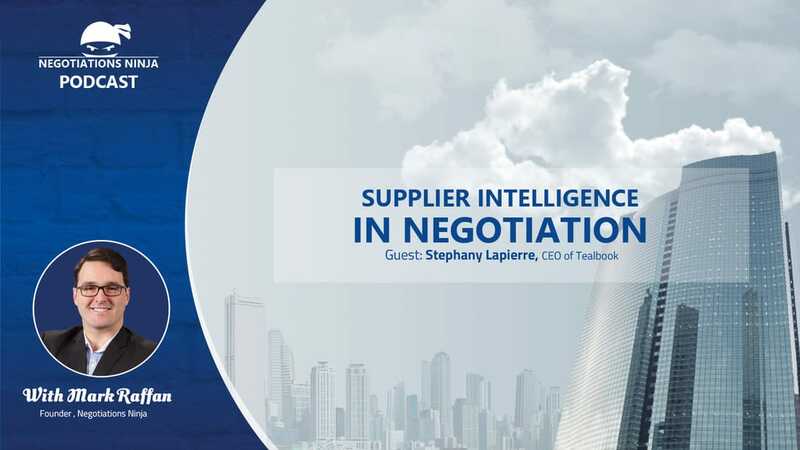 We focus on that value of supplier intelligence, the leverage it creates in negotiations and what separates negotiators who use good supplier intelligence versus those that don’t.